What makes Otley Beer so delicious and unique? 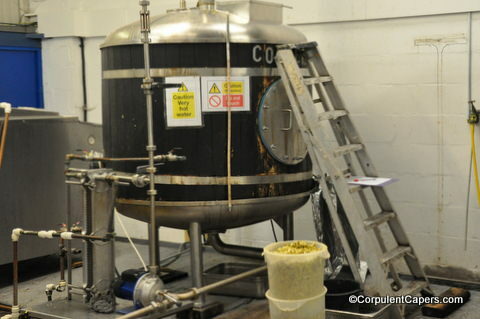 Otley Brewing Company is a family run business started by Paul, Nick, Robert, Charlie and Matthew Otley in 2005. The idea brewed as a conversation over a few pints of beer…the start of many an idea! As the family owned pubs, they knew what people liked to drink but more importantly what was missing from the market. 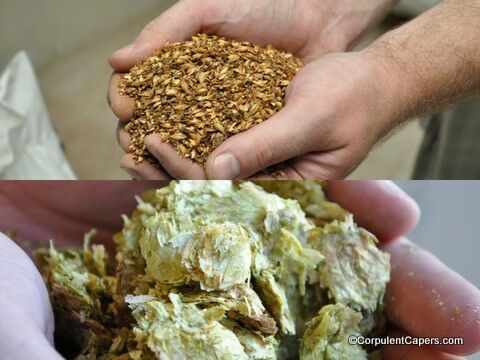 Driven by the love of great beer and a desire to craft unique ales, they decided to make their own beers. 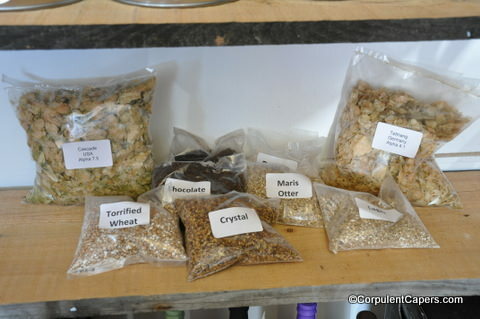 As a small family run microbrewery they are not afraid of being innovative and are committed to using the finest ingredients to make their ales. The water for their beer comes from the Brecon Beacons; the Malt comes from Tucker Maltings, which is one of the few Malthouses that produces malt in the traditional way, and their hops are sourced from all over the world. It’s not just the ingredients that make this an excellent quaff but the unique combinations of hops, often decided over a pint of beer, which gives them a fresh and modern award winning range of beers. Otley is one of the first breweries to add unique but subtle flavourings to their beer. All of their beers drink well on their own but they also shine when drunk with a meal. Their Thai Bo has a subtle hint of lime leaf, lemongrass and galangal and is perfect with Chinese or Indian food. 09 Blond is a clear wheat beer with roasted orange peel, coriander and cloves and is scrumptious with salad and fish. The Oh Ho Ho has a background note of blueberries and goes well with steak and the Porter is sublime with dessert. Otley is located in Ponytpridd, just up the road from their friendly and welcoming pub and restaurant The Bunch of Grapes. Thanks to the generosity of Otley, we are running a contest to give you a chance to win a Minikeg of their beer. You must be over 18 to enter and, due to delivery issues, live in the mainland UK, excluding Northern Scotland. Note you need a Facebook account to be able to enter this competition, sorry. Use the Widget below to confirm your email address, name, city and date of birth (you must be 18 or over to enter). Then click the like button to become a fan of the Otley Brewing Co on Facebook. If you have a Twitter account you can get a second entry and better your chances of winning if you use the bonus screen to follow the Otley Twitter Account. Full rules are at the end of this post. The deadline for entries is 23:59 GMT Friday 6th December 2013. The competition is open to U.K. mainland residents only (excluding Northern Scotland), sorry. The prize is one mini keg of Otley Beer of unspecified type, as shown above, and includes free delivery anywhere in mainland UK excluding Northern Scotland. The prize is offered and provided by the Otley Brewing Company. British Company that excludes North of Scotland in its comps VERY POOR…it is still UK mainland!!! Shameful! Otley are a small micro brewery that is based in South Wales and predominately serves its local area. They do not offer a mail order service and so don’t have a national delivery network. The cost of delivery to Northern Scotland is thus prohibitive for them. I know a lot of other organisations face the same issue, but the courier services impose additional charges to deliver to these areas sorry.